UK travellers can now take advantage of a new flight to Japan courtesy of British Airways. The airline is now flying out of London Heathrow to Tokyo Haneda airport five times a week. Passengers can opt to travel in first, business, premium economy and economy call on the Boeing 777. With Tokyo Haneda airport offering a link to a range of domestic flight routes, as well as the capital's business district, which is popular among seasoned corporate travellers, it may be well-advised to take out annual multi-trip travel insurance. Jamie Cassidy, BA's general manager in the Asia Pacific region, said: "The start of this route allows us to offer our customers greater choice and flexibility. We are proud to be the only carrier operating from Haneda direct to the UK. "The start of this service demonstrates our commitment to Japan and the deepening of our growing relationship with Japan Airlines." 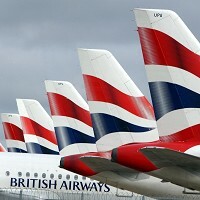 As well as flights into Tokyo Haneda airport, BA also flies to Tokyo Narita airport.